After the terrible events in Christchurch, and now Honshu in Japan, Peter Griffin suggested that I may like to comment on the ability of fibre to withstand such traumas. The actual glass part of the fibre is quite fragile and delicate. However the fibre “light conductor” core is always sheathed in variety of protective coatings, from simple plastic to modern materials like Kevlar. Fibre does enjoy the same tensile strength as steel of the same diameter. When covered by a protective jacket or armor, fibre can be treated fairly roughly without damage. Fibre is more resistant to temperature extremes and corrosion than alternative cable systems (copper, coaxial cable etc). Recent developments have seen “bend insensitive” fibre emerge, which greatly reduces the risk of breakage and signal attenuation when fibre is bent, even to small radiuses. Fibre rarely exists commercially as a single fibre. 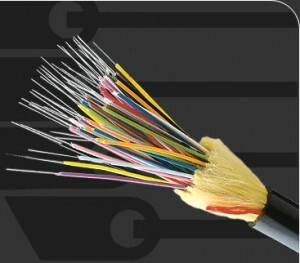 Fibre “bundles” contain dozens, often hundreds of single fibres in a cable. Such cables carry an incredible amount of bandwidth, tens of thousands of phone calls, hundreds of Gigabits per second of data. Breakage of this cable due to a natural catastrophe, or human error can create a massive loss of communications. We have seen this a couple of times in New Zealand when main “North-South” fibre trunks were broken, causing important internet and phone outages until the fibre links were repaired. The fibre terrestrial links can travel either underground in ducts or trenches, or “aerial” attached to existing power or telephone poles. One can easily imagine the comparative survival rates of the two systems in the case of an earthquake or tsunami. It has been shown that aerial deployment costs on average four times less than going underground. Watching the horrific tsunami damage around Sendai this weekend I’d suggest that any aerial fibre installations would be wiped out in those areas. Underground fibre runs should have a much higher survival rate as no power nor active electronics are generally used between “headends”, or relay sites. Also the fibre carries no electrical power and can be saturated with water, mud etc without any negative effect. These networks may go down, due to power outages, damaged headend electronics etc, but the underground fibre network itself has a good chance of remaining intact, thus easier to get back online again. Two undersea fibre cables were damaged in the Sendai area. Not surprising when we read that the Island of Honshu has moved 2.4 metres during the quake. An interesting sideline to undersea fibre cable can be seen at: Latest oceanic fiber-optic cable detects undersea quakes. So we might conclude that fibre offers no major advantages in natural disasters. I think that what really saves us these days is the development of the Internet Protocol (IP) and other recent data transmission methods. Why? Because these ways of sending data are not reliant on a fixed point-to-point route, but can and will find an alternate route to the destination. The secret of high-availability data communications today is redundancy and alternate network paths. As we increase the number and cover of our high-speed fibre networks, the assurance we gain is to be able to get IP packets through over the cobweb of multiple paths available to the users. Broken fibre links can be, up to a point, “self-healing” by finding an alternate traffic path. Also the companies operating the networks can also manually re-route traffic around a broken link. So as new fibre networks are developed and commissioned, the reliability of our World-wide WAN (wide area network) will continue to get better and better. John Nixon, when I first saw the title of the post (before clicking to read the rest), I immediately thought that the title, would meant that the article will describe between connection of tsunami and ultra-fast fibre-optic telecommunication system. Anyway, there is a physical connection between ultra-fast fibre-optic system and tsunami. A tsunami wave is a non-linear wave which can travel thousands of miles with less dispersion & attenuation (ie, from origin or source to destination or target). Soliton fibre-based transmission system is a non-linear wave pulse generator that generates solitons which can carry signals for longer distance even over 100s of kilometres before encountering a repeater station for amplification & signal conditioning. The equation that describes the propagation of tsunami is the same (but slightly different variant) non-linear wave equation that physicists use for designing solitons fibre-optic system. Thus both soliton fibre system and tsunami suffer very little dispersion and attenuation and that’s what makes them effective in transmission of energy from source to destination in a long distance. One is devastating to humans (tsunami) and the other one is beneficial (fibre-optic solitons). The photonics/opto-electronics group at Auckland University, Physics Department have done cutting-egde R&D in this area including commercialization, led by Professor John Harvey.